This site will be left open for temporary archival purposes. The Argus Collectors Group began operating on April 8th, 1997. It is a mailing list forum with open membership. All types of Argus cameras and accessories, as well as other related photographic products are freely discussed. 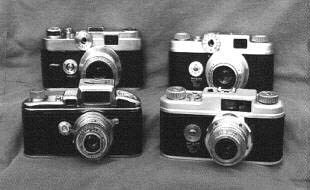 Today the ACG is the largest Internet group dedicated to the collection and restoration of Argus cameras as well as the study of the Argus company's history. We also sponsor regular programs that encourage the use and enjoyment of vintage Argus photographic equipment.